Questionnaires are an integral part of how you can gather information you need from your clients. Most basically, they are forms that you can create to ask questions and get answers. In this tutorial, we’re going to go over all you need to know to create and use questionnaires. Let’s dive in by creating our first questionnaire. 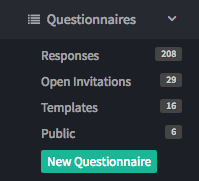 On the left-hand side of your Táve account, you’ll see the Questionnaires menu, under which you’ll find a few options: Responses, Open Invitations, Templates, and Public. Once you’ve sent out and received a few questionnaires, Responses will give you a list of all of those received and Open Invitations will show you the questionnaires that the clients haven’t filled out yet. Templates will show those that you’ve created and Public Forms will show the ones you’ve made available to anyone with the link. 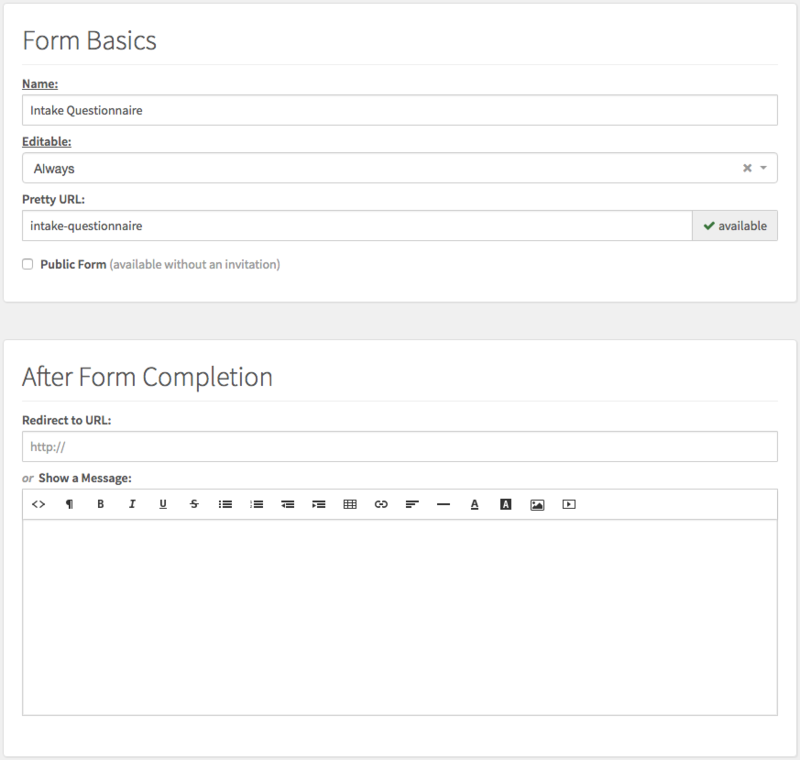 On the new form page, we will find where we can name the form, set its editable settings, pretty URL, public settings, and what happens after the client submits the questionnaire. Once you’ve given your form a name, let’s look at the different options that are available under the ‘Editable’ settings. Always: as long as your client has the link to the form, they will be able to freely make changes to their responses. Until Job is booked: you may use this option for a questionnaire that is only used during the proposal process. Once your client completes the booking process, the form will no longer be editable. Based on job date: You would use this if you have a questionnaire that asks for details related to a wedding day’s schedule, for example, and because of logistics, those details need to be locked in at least 5 days before the wedding. If it’s less than 5 days before the wedding, they will no longer be able to edit their responses. You can customize how many days, of course. Tip: You'll want to be sure you have this option checked in Settings › Main Settings to show their questionnaire in their client portal after it is initially submitted. What happens when your client submits the form? You can choose (should you choose) to have the form redirect to a specific URL (a beautiful page on your website with all of the product options you have available, for example). Or you can simply show the client a message thanking them for submitting the form. Here’s where creating questionnaires gets good. After we’ve created the form, given it a name, adjusted invitation and redirect settings, we need to now add some fields. Fields are the questions you’re going to ask your clients in order to get the answers that you need. 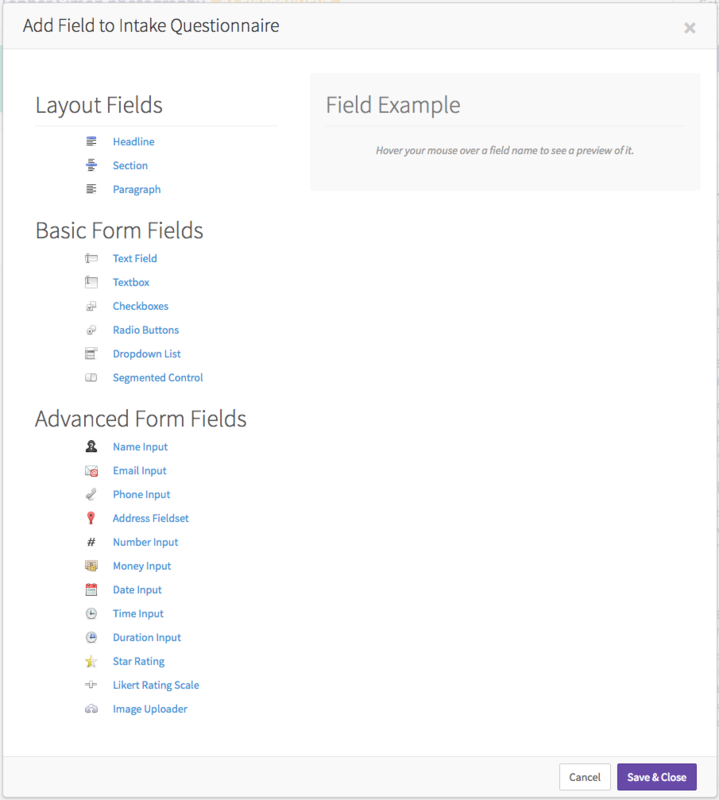 Layout Fields, unlike Basic Form Fields and Advanced Form Fields, do not collect any data. They are used to provide instruction or information for your clients. Maybe you’ll add a Headline at the top naming your field “Feedback questionnaire” and then have a Paragraph of text underneath saying how important feedback of their experience is for improving your business and thanking them for their honest response. Basic Form Fields and Advanced Form Fields are where you’ll actually gather data. Go ahead, play around with them and see what you can create. Fields can be set to Hidden, Private, Viewable or Editable. Private fields only you will see inside the Táve account, but Hidden fields are for when you want to have it on the printouts but not shown in client access on the client's end. You can think of Private as a "For Office Use Only" type of field. Viewable means that the client will be able to see the field (this is great for informative paragraph fields), and editable means that the client can see and edit the response to that field. Editable will be the most common field behavior in your questionnaire templates.